BEIJING -- Toyota is taking an unprecedented route to meet China's stringent green car quotas: Its showrooms will sell an electric vehicle without the Japanese company's distinctive triple-oval logo. The move -- a first for Toyota -- will give GAC access to the Japanese automaker's stringent quality control, prestige and sales channel. For Toyota, it presents a quick way to meet Beijing's requirements that such vehicles represent 10 percent of an auto manufacturer's production by 2019. According to two company executives familiar with the matter, Toyota plans to start selling the GAC Toyota ix4 by the end of the year. The vehicle is a battery-powered compact crossover based on GAC's Trumpchi GS4, and has been in development for two years. Selling a car derived from a Chinese partner's vehicle would have been unthinkable just a few years ago. But the idea gained momentum at Toyota because of the Chinese government's push to get more EVs on the road, the executives said. The government mandates have spurred other new alliances, such as Ford Motor's agreement to develop electric vehicles with Zotye Automobile. According to Jeff Cai, a Beijing-based senior director at JD Power & Associates, some of GAC's vehicles, such as the Trumpchi GS8 crossover, already stack up well head-to-head with vehicles marketed by global automakers. "The GS4 is a good car with acceptable quality," Cai said. He added that the GS4 ranked No. 1 among Chinese brands and No. 3 among all brands for initial quality in the compact crossover category. Under the new Chinese regulations taking effect next year, automakers must amass credits for so-called new-energy vehicles equivalent to 10 percent of annual sales by 2019. That level rises to 12 percent for 2020. New-energy vehicles are defined as all-electric battery and plug-in electric hybrid cars. A Trumpchi GS4 from GAC Group at the Shanghai Auto Show in April 2017. Until recently, Toyota was one of the industry's major hold-outs against full electrification. The company had planned to more or less skip battery-powered cars and turn instead to hydrogen fuel-cell technology as a mainstream alternative to gasoline-fueled cars. But China's seemingly inexorable drive toward EVs changed that attitude. At the Beijing auto show last month, Toyota unveiled plug-in electric hybrid versions of the Corolla and Levin, due to go on sale in 2019. The company is also developing an all-electric battery car of its own, which the company has said should hit the market in 2020. 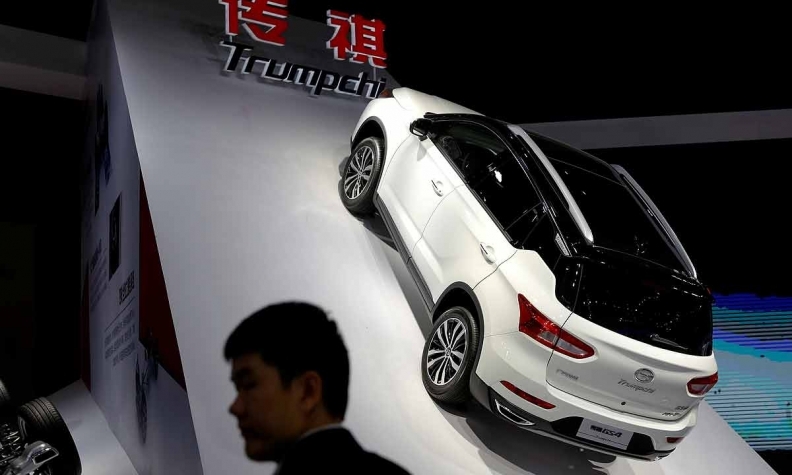 Industry officials and analysts believe GAC Motor cars such as the Trumpchi GS4 have been developed through studying vehicles from global brands, including those from its partners Toyota and Honda Motor. Toyota is negotiating to execute a similar EV deal with its second China partner, FAW Group, but nothing has been finalized, according to the first Toyota executive. Both executives declined to provide other details, including a target sales volume for the all-electric car or pricing strategy. 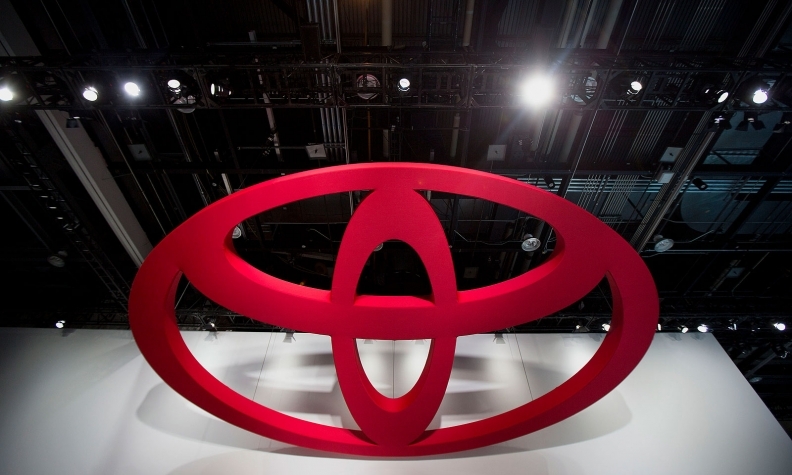 Toyota will assemble the vehicle at a factory in Guangzhou.